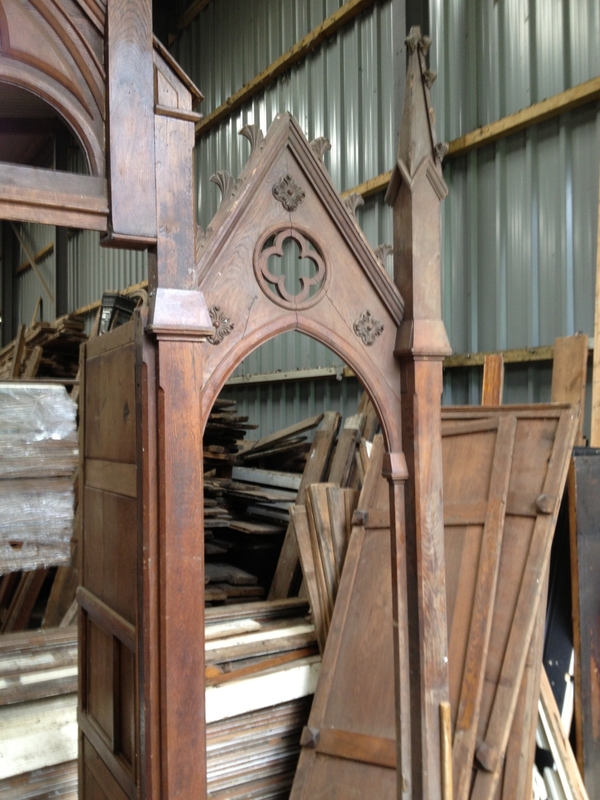 A lovely ornate oak confessional. 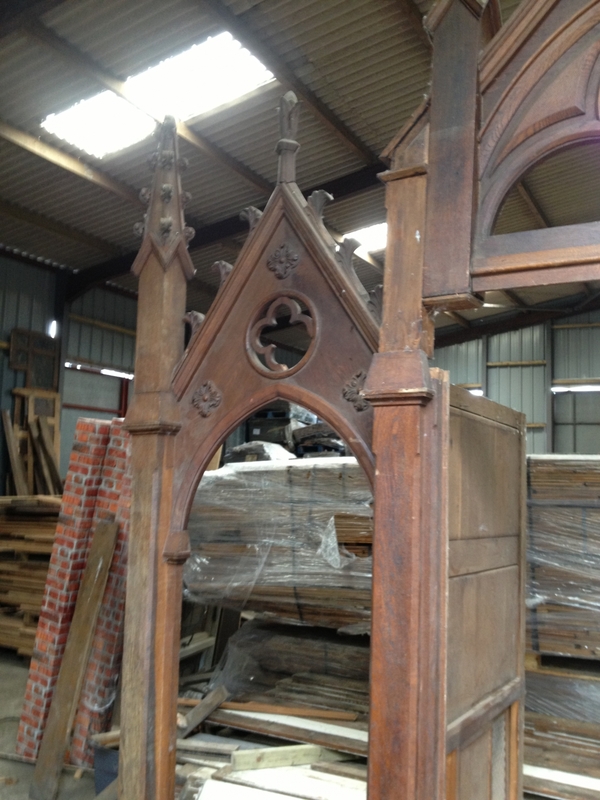 This piece would easily lend itself to a wide range of purposes, such as above a bar or counter. 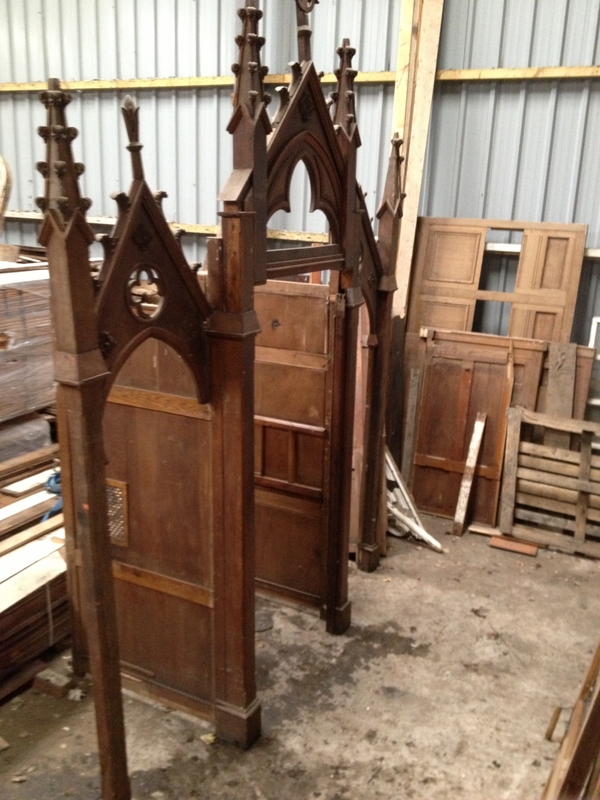 There are two plain oak doors/panels that come with it (see photo). Overall size below. 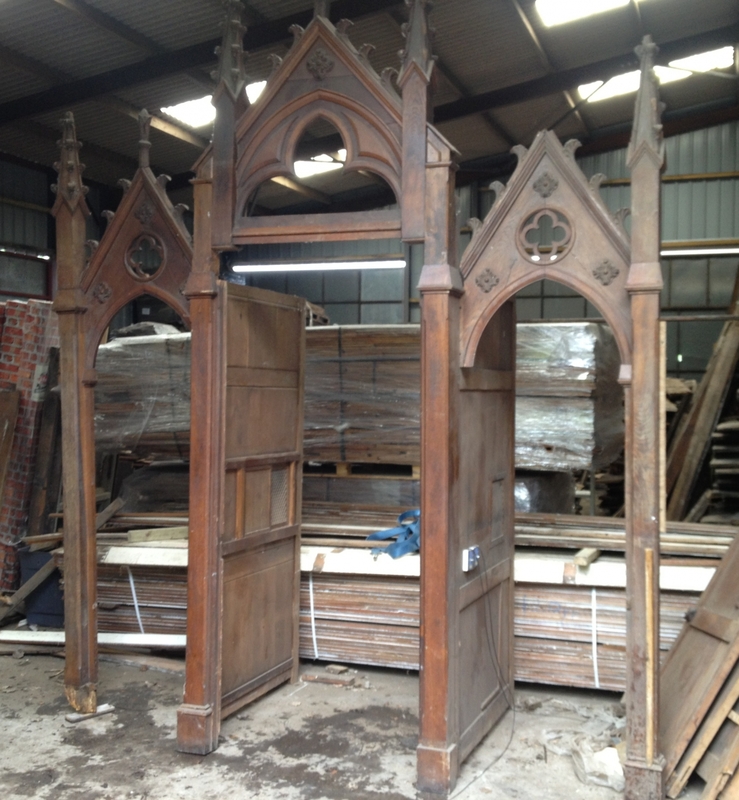 The left and right hand sections are each 84cm wide x 304cm high and the central section is 122cm wide x 375cm high. 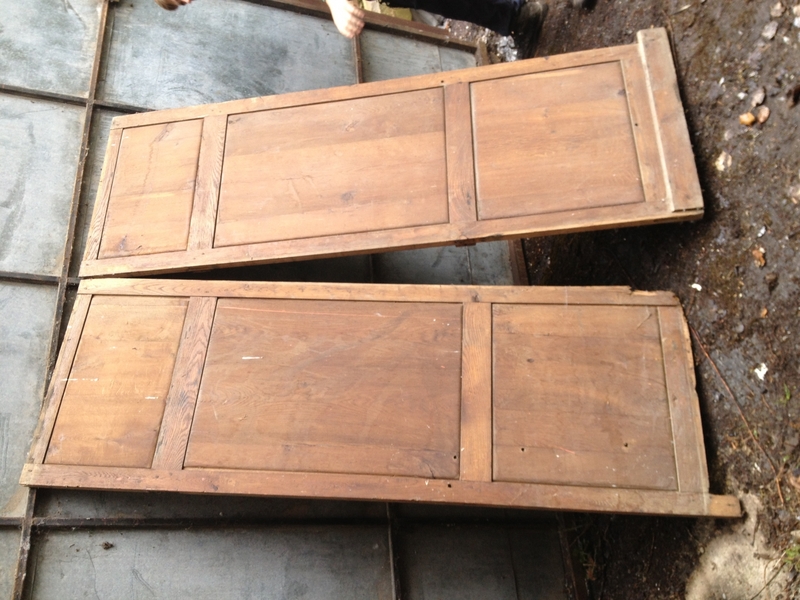 The two doors are each 74.5cm wide x 208.5cm high. One finial on the right hand arch needs reattaching (we have the finial).